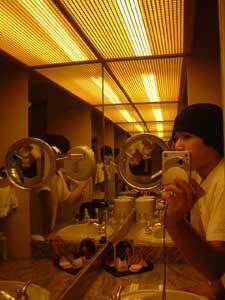 I never stayed in a hotel room with a magnifying mirror. After I took the picture, I realized that the mirror lit up. Of course, I didn't think of turning it on and taking another pic. Drats.